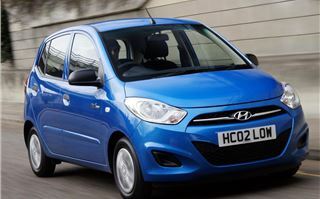 At 99g/km the new Hyundai i10 Blue is VED and Congestion Charge exempt, but is £400 more than the faster and better equipped i10 1.2. 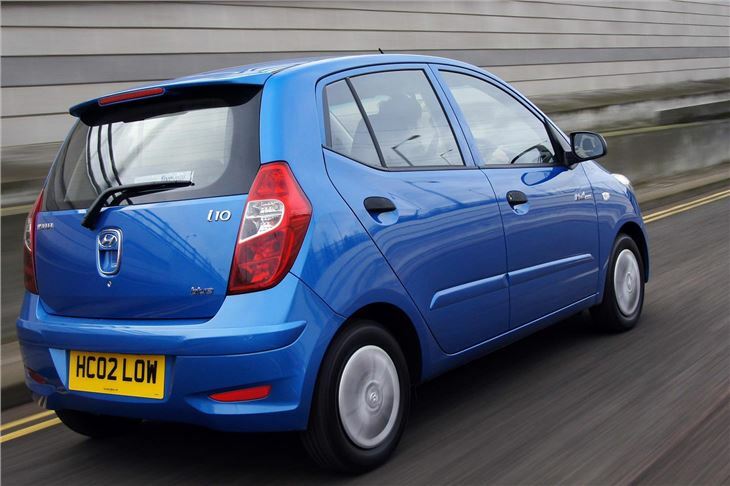 With five doors, five seatbelts, low tax, fun handling and a zesty 1.2 chain cam engine the Hyundai i10 is now very deservingly Britain’s favourite small car. 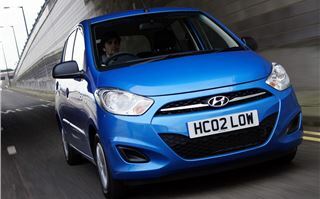 At 23,500 in 2010, it outsold both the FIAT 500 and the Ford Ka. Now it’s had a facelift. 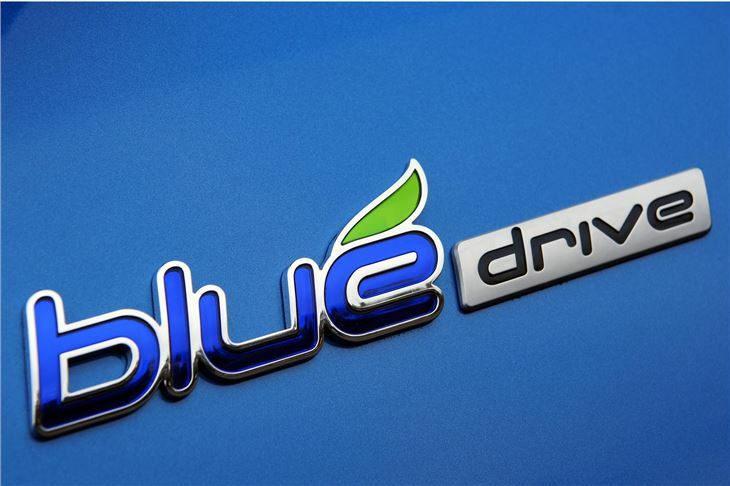 And for anyone faced with the purgatory of driving into London every day there’s a new Congestion Charge exempt (and annual tax exempt) ‘Blue’ version that emits just 99 g/kg CO2. And that’s the subject of this test. 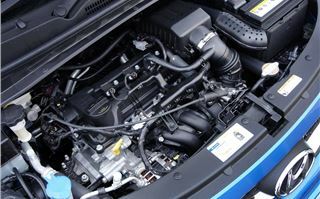 Under the bonnet, the tiny 998cc three-cylinder 12-valve chain cam engine bravely musters all of 69PS and 94Nm torque. 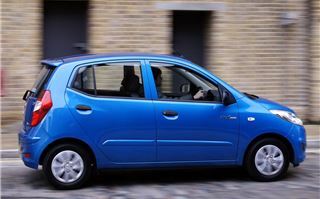 It’s geared at about 21mph per 1,000rpm in 5th and ratios and torque delivery are such that, unlike the FIAT 500 TwinAir, it feels lively from low revs. It will actually run in 4th gear at 30mph, though isn’t happy in 5th. 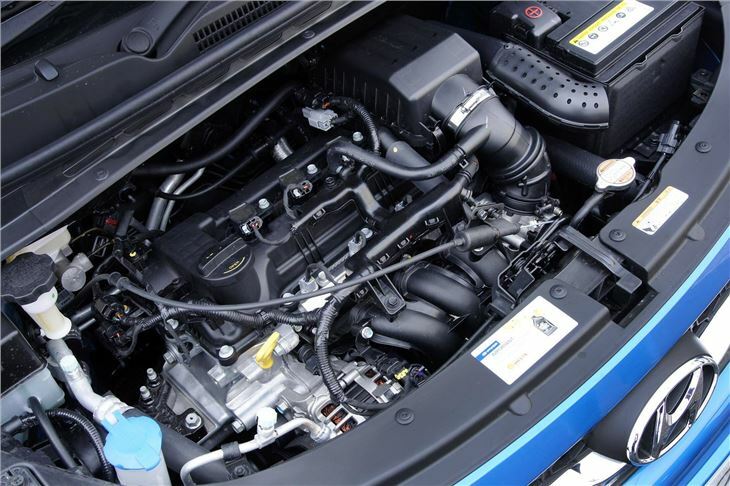 The engine note is more ‘gutsy’ than typical 3 cylinder ‘thrummy’ and is actually quite pleasant. And it’s quiet enough to cruise decently on the motorway where around 3,250rpm gets you 70. Hyundai quotes 67.3mpg in the EC tests versus 61.4mpg for the revised 1.2, so reckon on around 60 for the Blue and around 55 for the 1.2. Top speed is 93mph, with 0-60 in 14.5 seconds, though I have to say it feels quicker than that. Improvements to the 1.2 four-cylinder chain cam engine bring the 1.2 up to 85PS and it’s quite a bit quicker. Top speed 105mph and 0-60 in 11.9. A lower CO2 output of 108g/km pulls it back to VED Band B, which is £20 a year. 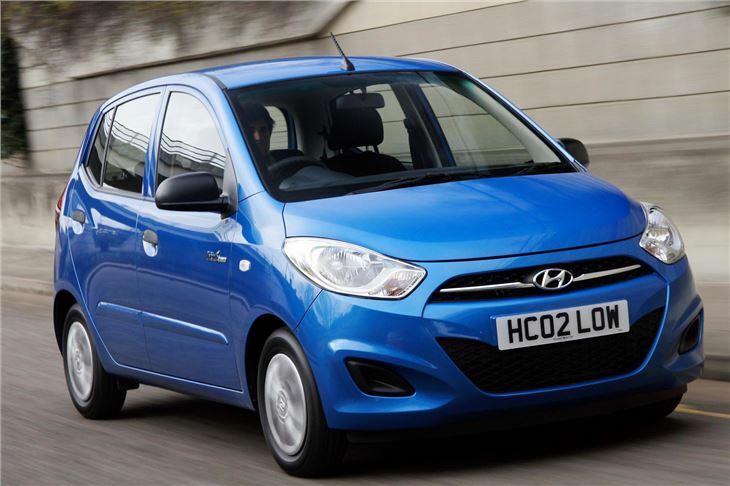 The trouble is, for the same trim level, the i10 Blue is £400 more than the i10 1.2, so you’d have to be daft to spend £400 more to save £20 a year. 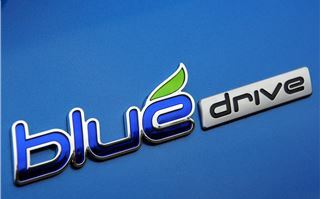 But if you need to go into London a lot, spending that extra £400 is going to save you £10 a day in Congestion Charges. Or £50 a week. Or £200 a month. And that’s got to be worthwhile. The car video tested was 'fresh off the boat' and because of this there was a paucity of information at the time I shot the video.. 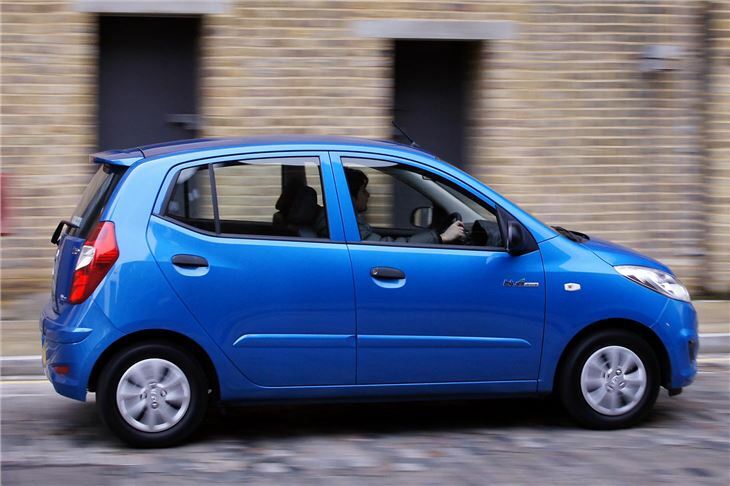 But it now transpires that the 'space saver ' spare wheel, is, in fact, a full size spare wheel and only looks tiny because the i10 Blue is on 13" wheels. 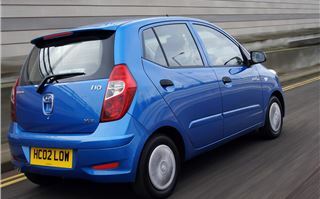 It is also now apparent that the i10 Blue trim spec is closer to that of the Classic than of the Active, making it £1,000 dearer than the 1.2 equivalent, and requiring 100 trips into Central London to break even on the Congestion Charge.